China is facing monumental challenges in environment and energy, from apocalyptic smog to cancer villages to polluted soil and rivers to severe water shortage. Accurately exposing the environmental issues to China’s youth and guiding them to develop long-term, sustainable solutions will be essential to the long term success of the nation. A journey of 1000 miles starts with one step. Come join us in taking on this important venture. China is in a dire situation without an easy solution. It is abundantly clear that something must be done and the time is now. We are working with leading American universities to develop sustainability curriculua and sustainability summer camps for Chinese schools and students. We are working with Chinese schools to “bridge” interested students to sustainability education in American universities. Our aim is that our programs would assist with integrating China into the global sustainability community. 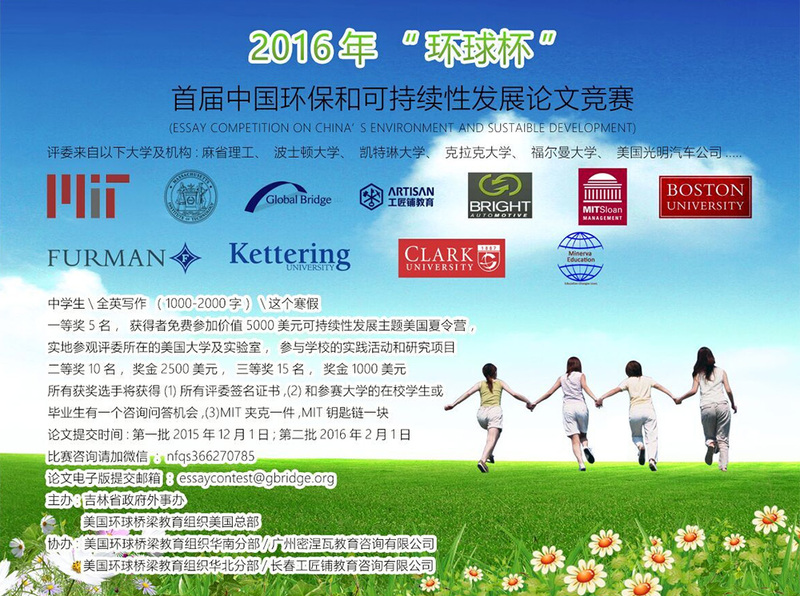 We are going to have a nation-wide China youth essay competition on China’s environment and sustainability. The goal is to increase awareness of this issue among China’s youth.